iDancehallReggae.com::Caribbean Lifestyle Media::: Exile Di Brave – Aims High!! Exile Di Brave – Aims High!! This young upcoming Dj straight out of Portmore, Jamaica HAS RECENTLY Completed Studies at the University Of Technology in Jamaica garnering a degree in Engineering which limits the time he has, therefore hindering and limiting his musical works, but Exile Di Brave doesn't mind, he works hard and truly believes in getting a solid education first. With his two childhood peers Gerron Thomas (KONIAK) and Mario Grey (KRITIK) they form a rap trio called N.H.C which means Narrating Hostile Conditions. They dropped a mix tape in 2003 which explains all the things that their surroundings had to offer, telling both the bright and the dark side of music, and society. Gaining good responses from songs such as “poor cold “and “lonely”, “you don’t want beef”, and "Hungry girls”. 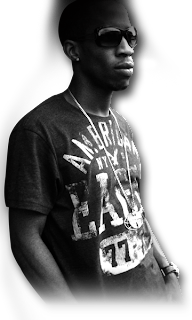 Known to friends as Nago, whose government name is Clayton Johnson, is a 26 yrs old musical artist born and raised in Naggo’s Head, Portmore has his own mark to make in this music biz. The former Camperdown High School student just won’t stop working on his musical craft. After leaving high school in 1999, he started exploring his talent and started to rap as the hip hop genre took a big step in the Jamaican culture. Since then, their talent has grown into different styles and techniques. Exile Di Brave has begun to appreciate Jamaica’s own reggae dancehall music, which was the first music he had come to know. Bringing across sharp lyrics and melodies from hip hop, and transforming them to Jamaican Creole (patios), he is now a reggae dancehall artist on the underground scene and planning to see the top with songs such as solid, strange, very hot, like or as, and story telling to match any situation, he writes songs for whatever stages life can take one through. For Exile Di Brave, music gives him a fighting power so strong that his determination has heightened, with the help of new found Management – Dell Productions based in Birmingham, England and U.S.A. Due to this Partnership his hot new single and video “15 Mins of Fame” – produced by Excellent G and video directed by new comers Big Bomb Films has drawn much attention. Such is the popularity of the single that it has had numerous views and comment on Face book, MySpace, Tagged and getting excellent rotation and feedback in the U k.
Exile Di Brave sees his career, as moving in the right direction, with the heavy promotion of his other singles, such as: “Never Know Love”, produced by Young Veterans, “Nah Quit” and “Climax” both by Prolific Entertainment. With the help and much guidance of his management team, Exile Di Brave hopes to achieve the success, for which has been working assiduously for. With the entire buzz currently he and his management team are finalizing, a much anticipated, Bahamian, event in September, among others. Exile Di Brave can be contacted on his my space at myspace.com/exiledibrave or on his website http://www.exilethebrave.com/ . Exile Di Brave aspires that for the years to come the music industry and the world will see more from this raw talent yet developing talent, a diamond in the dust, and a future force to be reckoned with.